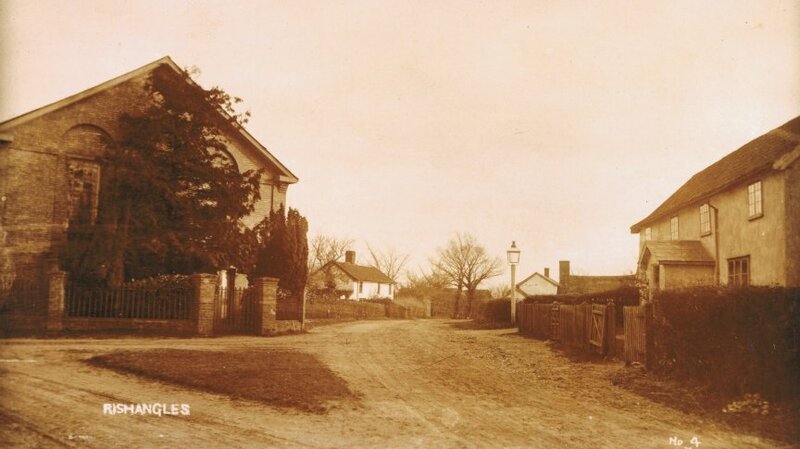 Rishangles Baptist Church was founded in April 1849, and the present Church building was opened in October 1862. In 1993 as a result of several years of prayer and the determination of those involved within the Church, a two-storey extension was added to the original church building. This extension which included new toilets, classrooms, store rooms, entrance lobby and a kitchen have been, and continue to be a huge benefit to the Church. In addition to the changes with the Church building, there have also been changes to the adjoining Chapel cottages. These cottages, which for some years fell into a state of disrepair, were renovated in 1995 to their former glory. A more detailed account of the history of Rishangles Baptist Church is available in the booklet "The Church on the corner", which is available for purchase at the church at a cost of £1.